Our custom team can help you change the standard site fonts to any font of your choice. 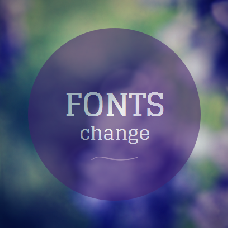 A font change can give a new feel to your website without having to go into expensive design modifications. There are paid libraries such as TypeKit.com and free libraries such as fonts.google.com, fontsquirrel.com/tools/webfont-generator. Some info on how you can build your brand with fonts.